If you haven't seen it yet (and we think you should), InspectionXpert's Knowledge Base received a much-needed makeover. Because you told us to! We really do listen to our customer's feedback and this update will allow us to do that even more. The first change you will see is in our URL, which is now help.inspectionxpert.com. 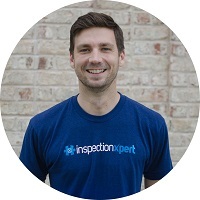 We don't want to just support you when issues pop up, we want to help you leverage InspectionXpert to its fullest capability and save time with your inspection planning process. With that in mind, we've added a Getting Started section with helpful onboarding videos. Included is a 35-minute standard training video with chapters so you can jump to the areas you need to know about the most. All of our Getting Started articles include links allowing you to schedule a live training session if you prefer a one-on-one training. Our new site is built with a state of the art search engine that will make finding articles much easier. We will be able to gain additional insight from your searches to help us prioritize future articles. Lastly, we've completely changed the user interface to match our main website and improve your overall experience. You can still contact support the same ways you did before. At the bottom of our Knowledge Base, you will find a link to contact us. You can submit a ticket directly through the site, email support@inspectionxpert.com, or give us a call at (800) 379-0322 x2. You will no longer be prompted to create an account or log-in to submit a ticket. We still have your ticket history on file and can reference them when needed. We are excited and hope you enjoy the changes. Let us know what you think!